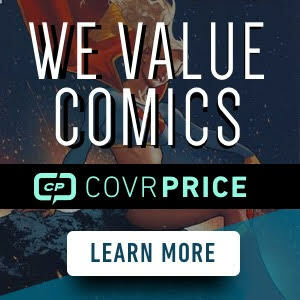 Excalibur: The Sword is Drawn was the one shot special that first introduced this team together back in 1987 but it was a few months later Excalibur #1 hit store shelves with their own ongoing title. 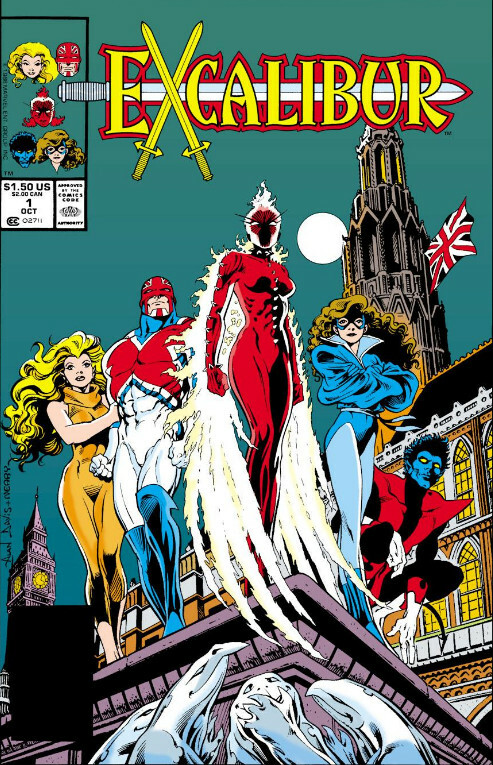 This team consisted of Captain Britain, his lover Meggan and started off with three former X-Men members which were Nightcrawler, Phoenix (Rachel Summers) and Shadowcat (Kitty Pryde) who originally set out on different adventures in parallel interdimensional worlds. Let’s also not forget the team also had Lockheed, who was sort of Shadowcat’s pet but I’d consider him a team member for the most part. As a team, the one shot was their first appearance but each member was already pretty well known in the Marvel Universe. 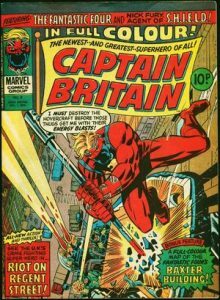 Captain Britain who is Brian Braddock first appearance was in his self titled series Captain Britain #1 back in 1976. Another noteworthy book in this early series was Captain Britain #8 where Psylocke made her first appearance who happens to be Brian Braddock’s twin sister named Elizabeth “Betsy” Braddock. Although she didn’t officially become Psylocke until 1986 in the New Mutants Annual #2 . Meggan who is Captain Brittain’s lover turned wife eventually made her first appearance in Mighty World of Marvel #7 . Katherine Pryde aka Kitty Pryde but was Shadowcat in Excalibur made her first appearance in X-Men #129 which we covered a few months back as a throwback. Kurt Wagner who is better known as Nightcrawler made his first appearance Giant Size X-Men #1 in 1975. Rachel Summers who is Phoenix and the child of Scott Summers and Jean-Grey (who was also Phoenix) made her first appearance in X-Men #141 . We can’t forget about Lockheed who made his first appearance in Uncanny X-Men #166 . Anyone else read the original Excalibur series? I was a religious reader back in the day of this series. 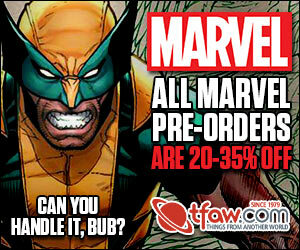 For myself, it was just a different take from the X-Men at the time. This had a good 10 year run from 1988 to 1998. Saw many new members come and go over those years as well. Maybe we’ll see a future movie made from this team. If they can pull off an Eternals movie, I couldn’t see why this team couldn’t make some great movies as an alternative to the X-Men world. There has been some rumours about Captain Britain possibly appearing at the end of Spider-Man Far from Home. If Capt. Britain will be appearing in the MCU, Excalibur or New Excalibur/MI-13 can’t be far behind. I wonder if they would use Excalibur in a movie or tv series? I loved this series as a kid and early collector. Still have my original #1’s and one shot. 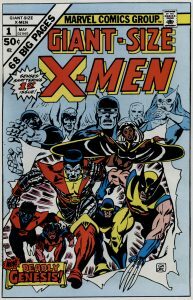 Thanks for writing this up and doing the research on 1st appearance of each of these characters, it was a great team. Loved this book, in particular it’s Alan Davis run. Less so around Warren Ellis’ time as the stories reflected much of the same feel that 90s comics books had. But this was my favorite X-team for while and my favorite depictions of Nightcrawler and Kitty Pryde.